There are no words for what happened in Paris this weekend, I cannot imagine the terror those poor people went through. I have been mulling over the attacks and the multiple responses the last 24 hours or so: the anger, the fear, those trying to rise above it and reach out on all sides. I am an innate optimist, but with the events of recent years, I sometimes find it harder and harder to be true to my optimistic self. Yet it seems even in times like these humanity prevails. There is that spark of goodness in people that pushes through: the Parisians in the wake of the attacks that immediately offered their homes to strangers to stay the night, the non-Muslims that took the time to remind people that this is not Islam and that most of us are just the same as anyone else. Then this morning it occurred to me that London had already been through this. London experienced its own terrorist attacks in 2007, I was on maternity leave at the time and due to go back to work in the City the following week. I remember being so worried that day because one of the bombs went off near my sisters university (SOAS in Russell Square) and one went off at Edgeware Road where my brother worked at the time. We accounted for my sister and spent hours trying to confirm my brother was ok, to find that he had taken the day off that day and been in bed asleep. I remember feeling heart broken that this had come to the city I love and call home and hurt so many people (52 died that day and over 700 were injured). I also remember being scared about going back to work the following week and travelling on public transport and how people would react to me. London can sometimes feel like a hard-hearted and cold city, where people have no time for each other. But I remember that following week when people were back at work, they harnessed what we call the "blitz spirit" and just carried on. I also remember that people that week smiled at me and offered me their seat, something you normally wouldn't even get in London if you were pregnant. I remember feeling proud of my city and more than a tad relieved. I hope human kindness and understanding prevails again. I pray that we all show understanding towards each other and don't let these events divide us. 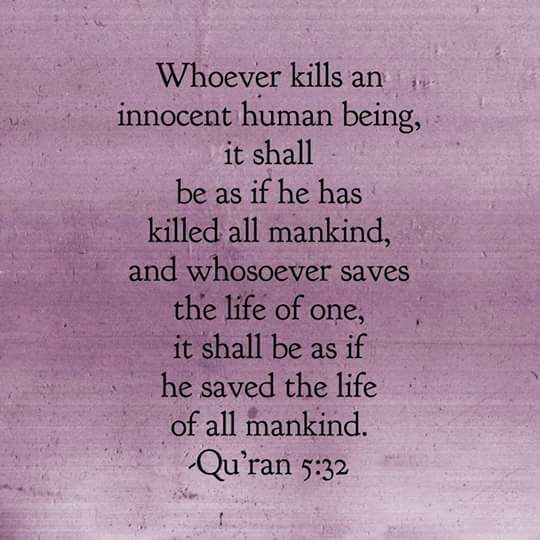 For those that think that this terror is part of Islam, I would like to join my voice to the throng of voices saying this is not who we are, this is not what we believe, this is not our Islam. The Muslim world has had its own share of terror and suffering from both the war on terror and the antics of terrorist groups. Figures compiled earlier this year (by the Physicians for Social Responsibility and by Physicians for Global Survival and International Physicians for the Prevention of Nuclear War) put the total number of civilian casualties from US-led counter-terrorism interventions in Iraq, Afghanistan and Pakistan at between 1.2 and 3 million dead. The New York Times puts the death toll in Syria at more than 200,000 people having been killed in the four-and-a-half-year Syrian civil war, with four million fleeing the country leading to a refugee crisis in the Middle East and Europe. I still can't forget the children that died in the school shooting in Peshawar last year that killed 145 mainly children - they looked just like my young cousins and nephews in Pakistan and I still think of what their mothers must be going through. 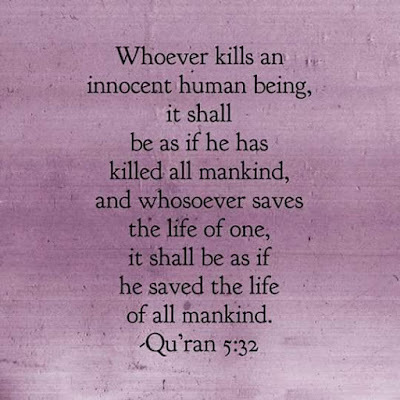 Muslims Around The World Condemn Paris Attacks Claimed By ISIS by Jack Jenkin for Think Progress.